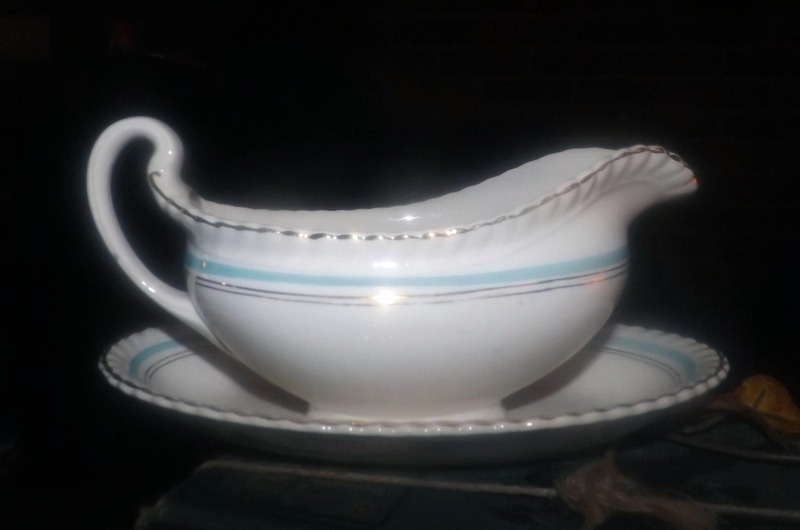 Vintage (1930s) Johnson Brothers JB140 | JB 140 gravy boat with under-plate. Aqua gold bands, rope edge. 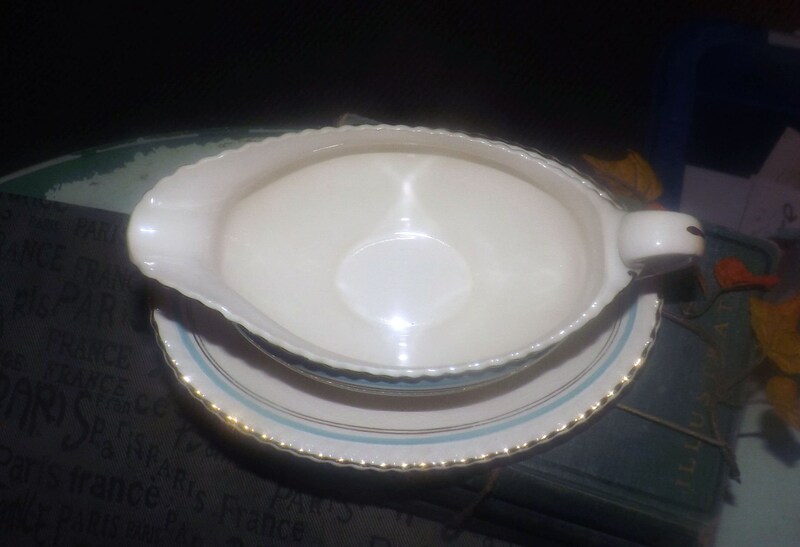 Old English ironstone. 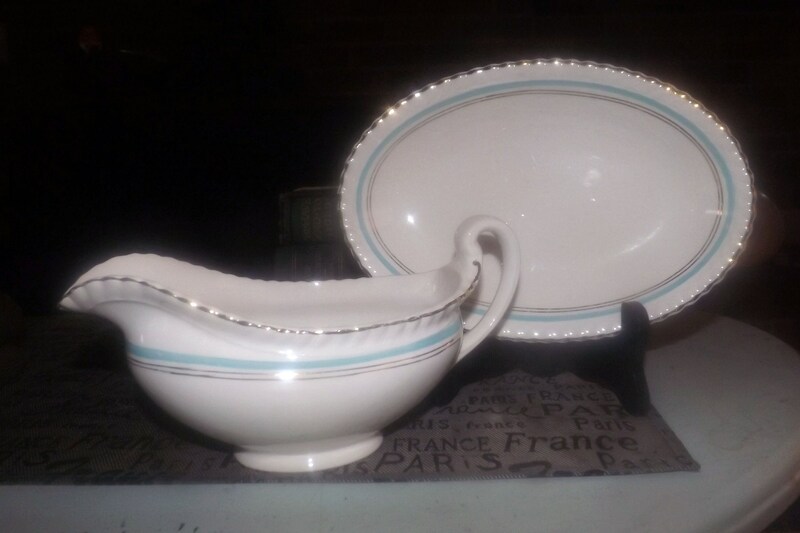 Vintage (c.1930s) Johnson Brothers JB140 | JB 140 with matching oval under-plate. 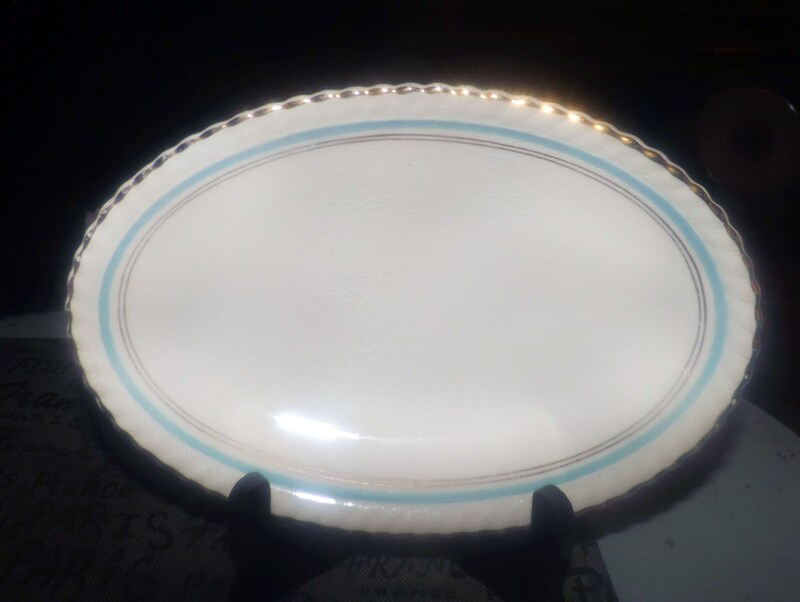 Aqua and gold bands set against a cream ground with a gold, rope-embossed edge and gold accents. 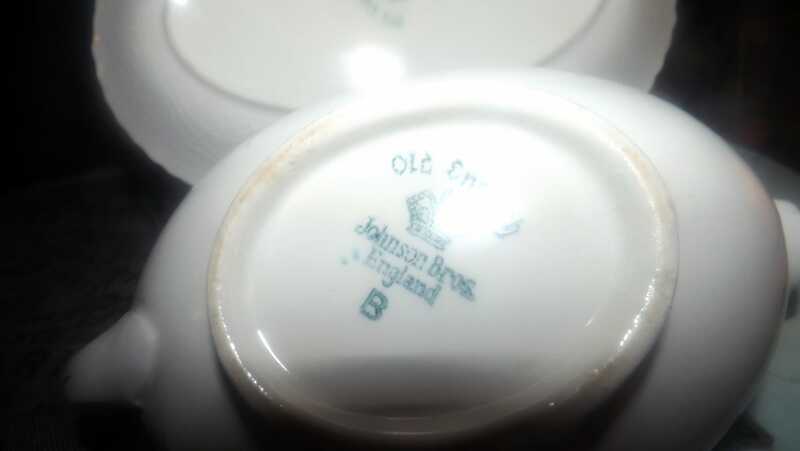 JB140 is part of Johnson Brothers Old English line of ironstone. In EXCELLENT! condition with NO! chips, nicks, cracks or fleabites, LITTLE TO NO! loss to the rop-embossed, gold edge or accents and NO! marks or stains. The aqua and gold bands are vivid and bright with NO! 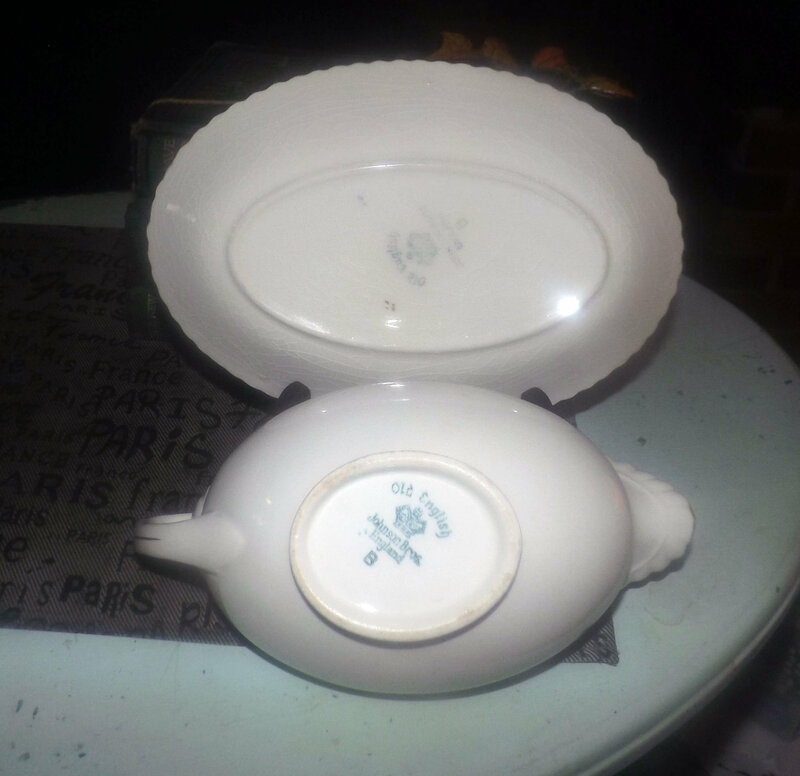 fading apparent and the inside bowl of the boat is clean as a whistle! Pieces show LIGHT! 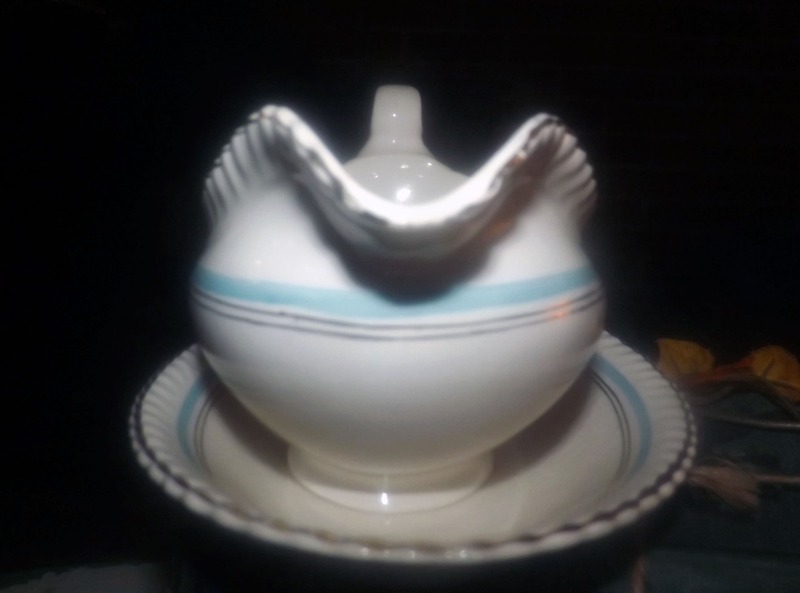 crazing for their age (please review each of the posted photos for a complete visual of the items). 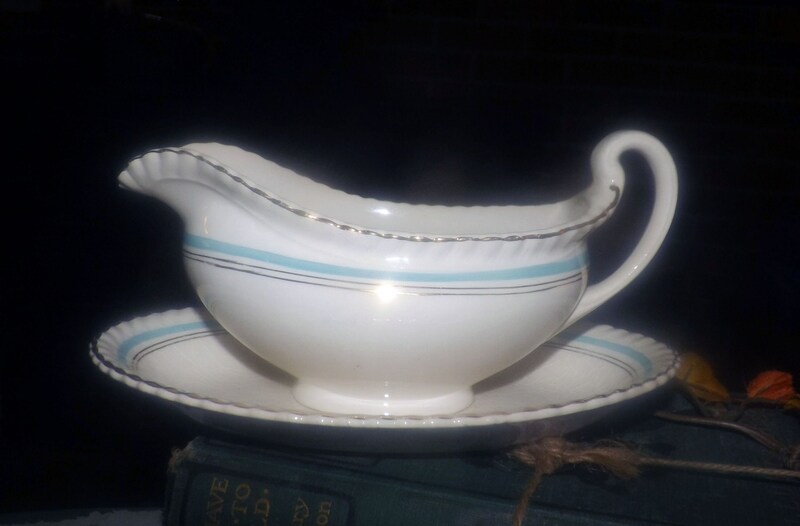 Approximate measurements: gravy boat stands 3-1/2" x 8-1/8" across (handle to spout) | matching oval under-plate is 8-1/2" x 6" in diameter. Both pieces have a rope-embossed, gold (cadroon) edge.